– 40 seminar rooms (24 and 30 seat). – 8 case study rooms. – Learning hubs with interactive student PODs. – 3 x 300 seat lecture theatres. – 1 x 550 seat lecture theatre. – 1,500 sqm of open learning space. – Meeting, Board and Dining Rooms. – 5 x video walls. It is the single largest university technology spend yet in Australia. 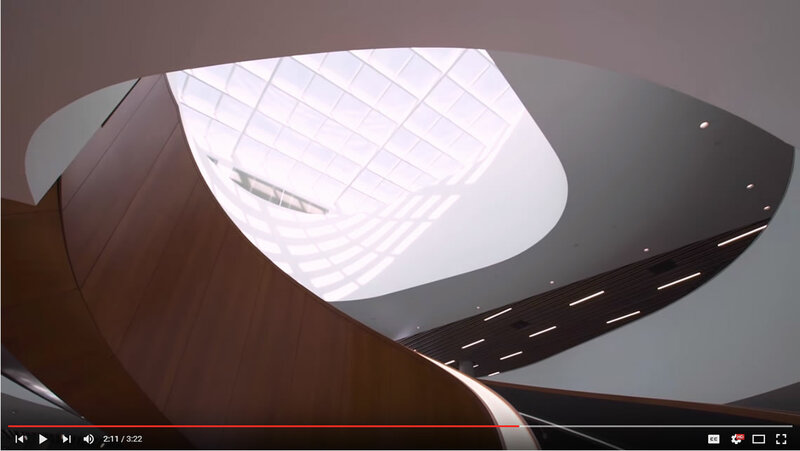 Fredon Technology took all the benefits obtained from the recent completion of the Charles Perkins Centre and enhanced integration to a new level for the Abercrombie Project. Extensive use of off-site manufacturing techniques was deployed including off-site rack building and commissioning with pre-assembly of over 80% of field equipment. Online commissioning and automation of repetitive tasks enabled considerable savings on the project.